We are honored to have several sewing industry leaders take time out of their busy schedules to talk to us about 2016 and what they are looking forward to in the year ahead! So far, we have heard from Nydia Kehnle of Nydia Kehnle Design + Photography, and Samarra Khaja from Samarra Khaja. Next up, we have Debbie Jeske from A Quilter’s Table. 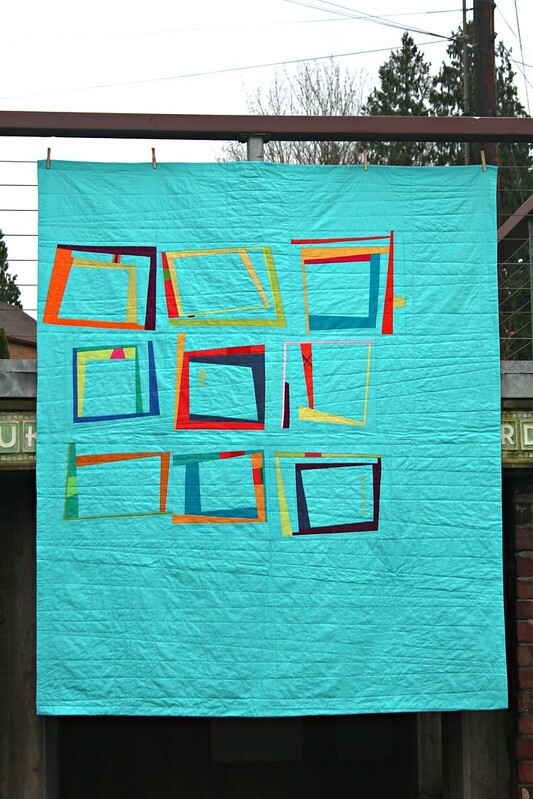 Find more quilty goodness from Debbie on Instagram, sign up for her newsletter, or check out some of her quilting tutorials! 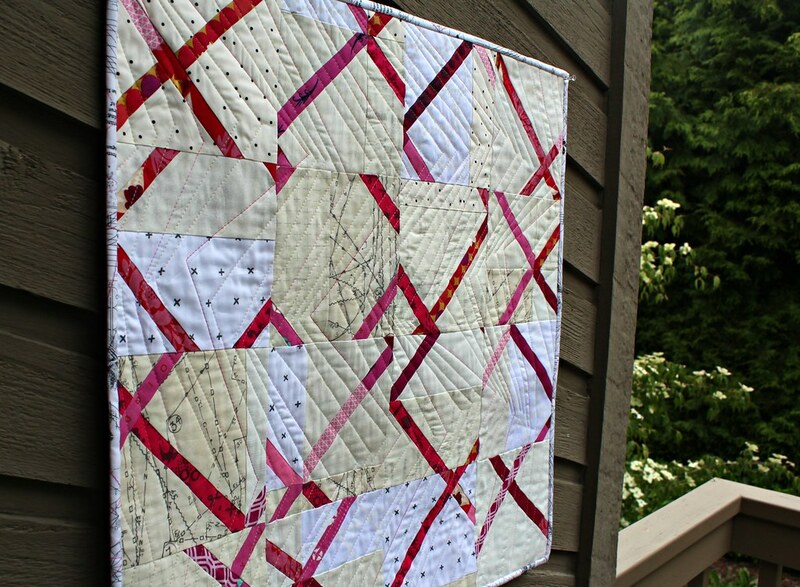 Debbie: Improvisational piecing and quilting seem to have been increasingly embraced, as has sewing with intent, either inspired by a theme or to convey a message. Group giving quilts are the way quilters grieve, console, and celebrate. 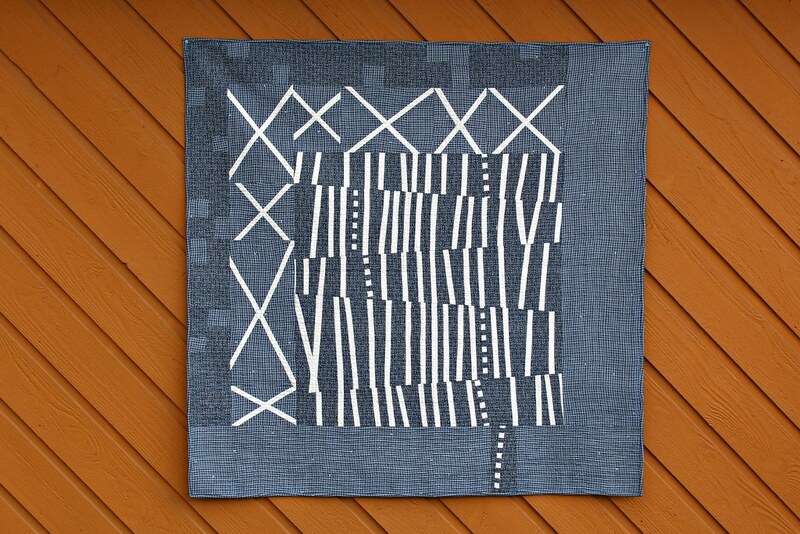 The popularity of Sashiko and hand-sewing in general is growing. Jayne Willis of Twiggy & Opal [@twiggyandopal] is someone I’m always watching. Besides her exquisite workmanship, she is often found stretching the limits and trying something new such as faux trapunto or incorporating raw edge scraps into her work. 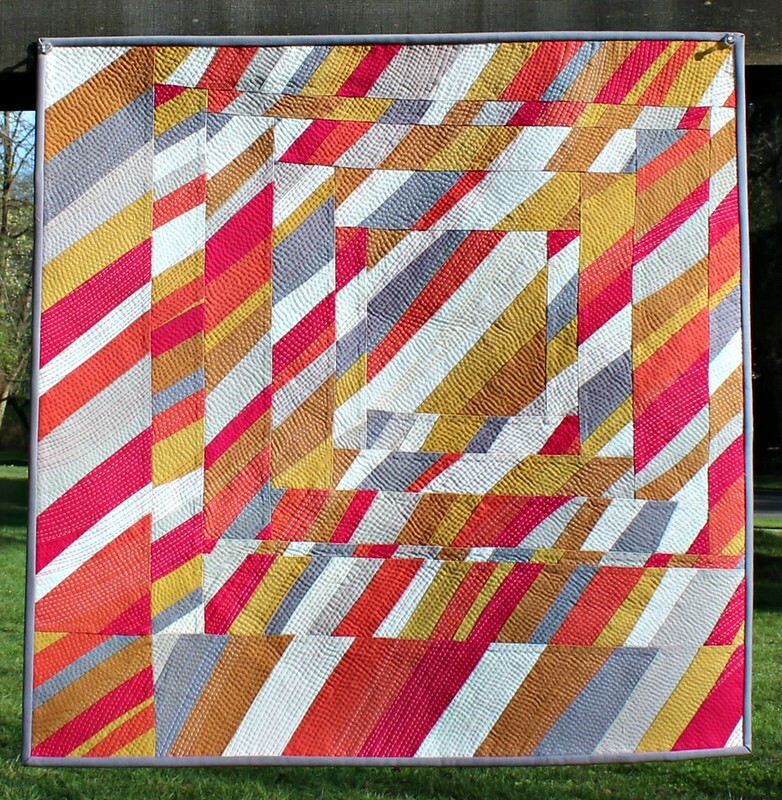 Also, her hand-quilting is swoon-worthy! Matt Macomber [@odditease], is a fellow member of the Seattle MQG, and we are constantly in awe of his stunning quilts. 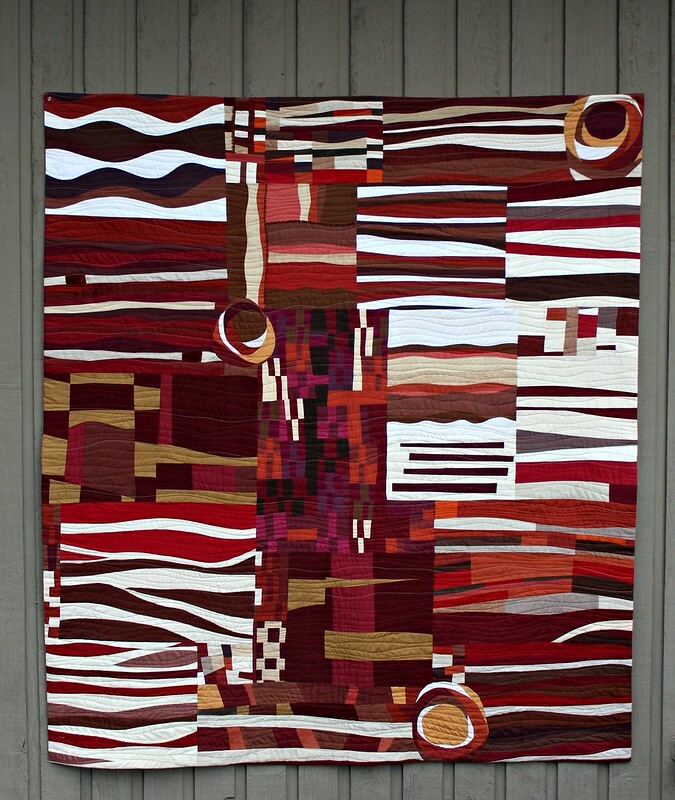 His eye for color and design, apparently natural gift for quilting, and prolific creating are downright inspiring. Kristin Shields [@kristinshields] has awed me with her use of color and artistic use of improv shapes, and I find her work pretty irresistible. All of the talented women of Bee Sewcial, an improv bee sewing into its third year. Those women have stretched and challenged each other in unexpected ways. They’ve brought a thoughtfulness (and frivolity) to our sewing that I hadn’t previously experienced. Debbie: I wouldn’t be surprised to see even more graphic designs and low-volume options. There seems to be a general overwhelm, though, with the amount of enticing fabrics and other products constantly coming our way. We just can’t sew fast enough, and a lot of my fellow creators are down-sizing and/or prioritizing sewing from stash. Even so, I expect to see continued experimentation with self-designed fabric such as Shibori indigo-dying and block printing. I also anticipate seeing more creating with repurposed fabrics and uncommon textiles. Debbie: In this community where Instagram seems to have become the social media tool of choice, I’m pleased to still be blogging regularly and enjoying it. After nearly six years, it’s where I share my truest creative self, and I’m grateful so many still join me there. That said, the #crosscutquiltalong, my first Instagram sew-along, was great fun, and gave folks new to improv a quick, safe way to give it a go. I also posted several improv block tutorials on the blog this year, and together they were a way to gently ease some of my readers into techniques they’ve been wanting to try and have been afraid to. As far as my own quilts, I’m most proud of the ones of my own design, especially those where I was creating just to see where it would take me. Growing my newsletter, The Scrap Basket – gathering and highlighting the work of others, as well as being able to explore the variety in our quilt-making is pretty satisfying. Debbie: I’m very intentionally embracing a casual approach to this year, and leaving plenty of space to sew on a whim, especially to explore my own designs. So expect me to keep on quilting and sharing it often on the blog and Instagram, quite possibly hosting another Instagram sew-along, and generally enjoying participation in both my local and online quilting communities.